There is a long standing love of Broadway shows in our family. Living in southern Wisconsin and then in western Illinois, Chicago was our destination for theater. And we had homework. We read the story. Saw the movie. Got the album from the library. Played the music on the piano. And now, if called upon in a national crisis, we can sing along with Les Mis from start to finish. One of the many awesome things in Denver is our Center for the Performing Arts. Every year they have a full slate of nationally touring Broadway shows. Over the past few years, I've seen everything from the Lion King to Wicked to West Side Story. And if you plan ahead, they have great "limited view" seats in the orchestra level that are usually $25-35. Score. My sister and I were given tickets to see a new show. From friends who have swanky season tickets. With center orchestra seats. 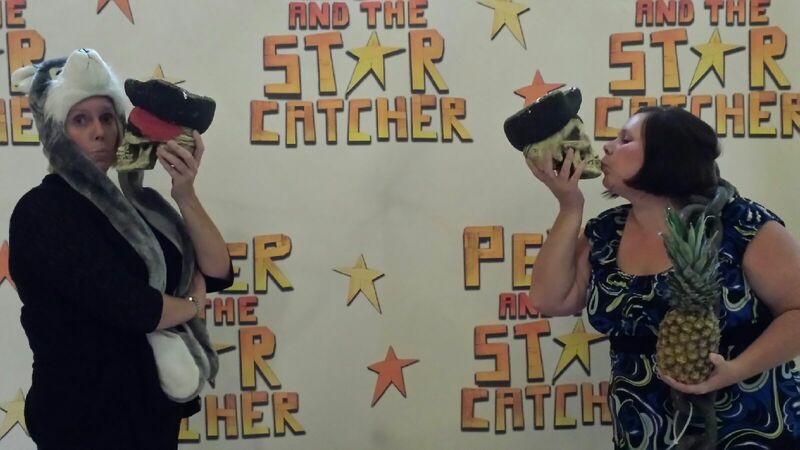 Denver is the first stop of the national tour for Peter and the Starcatcher. The plot in six words: it's the prequel to Peter Pan. And damn funny. With mustaches. Last night they were having special activities for kids. We are just big kids. As exhibited by this picture. 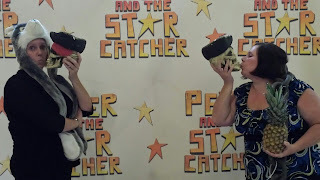 Peter and the Starcatcher is here in Denver until September 1. See everything the DCPA has to offer here.